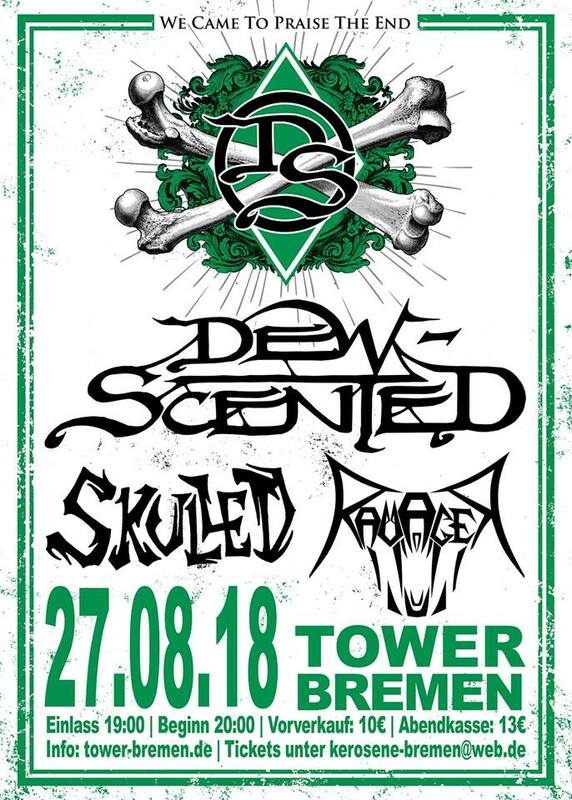 DEW-SCENTED - Relentless Thrash Metal from Germany - DEW-SCENTED » DEW-SCENTED in Bremen / Northern Germany for one last time! DEW-SCENTED - Relentless Thrash Metal from Germany - DEW-SCENTED » DEW-SCENTED in Bremen / Northern Germany for one last time! Home > NEWS	> DEW-SCENTED in Bremen / Northern Germany for one last time! DEW-SCENTED are no more! DEW-SCENTED to support PRONG!